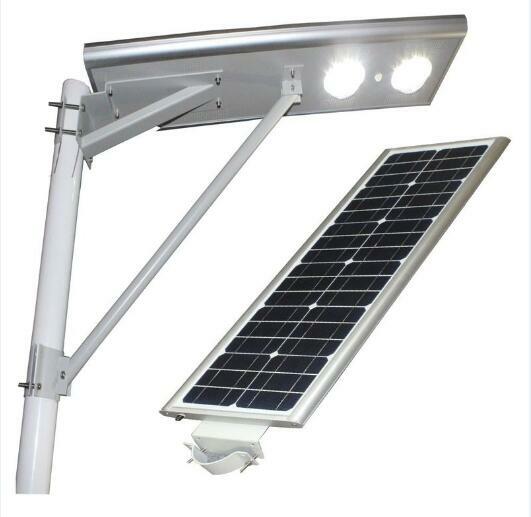 All in One Integrated Solar Street Panel Light with Li battery For Home Garden has high efficiency Mono solar panel, automatic controller, and Li battery all in one lamp.NO need any cable and easy to install all in one solar light. 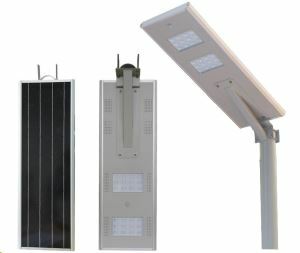 1.LED light, solar panel, lithium battery and controller,all in one compact design. 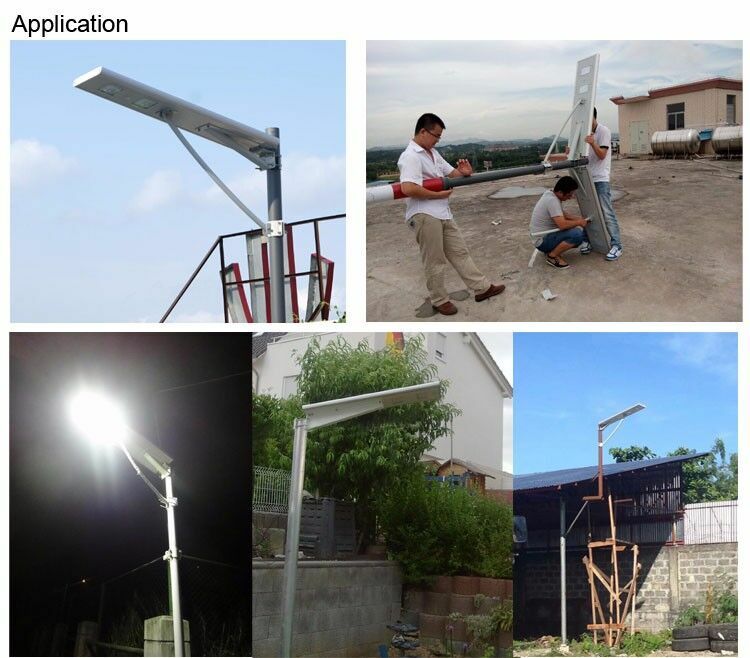 2.No wiring,100% solar powered ,easy to install and ship. 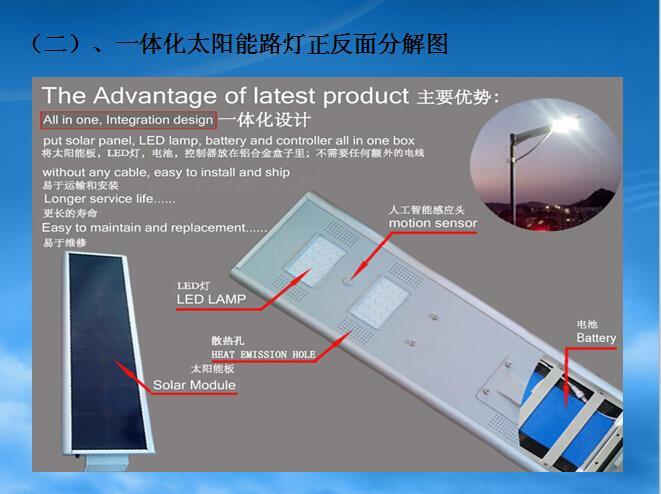 3.Built-in infrared sensor,can adjust the light output automatically. 4.Rust-proof, dustproof and waterproof IP65. 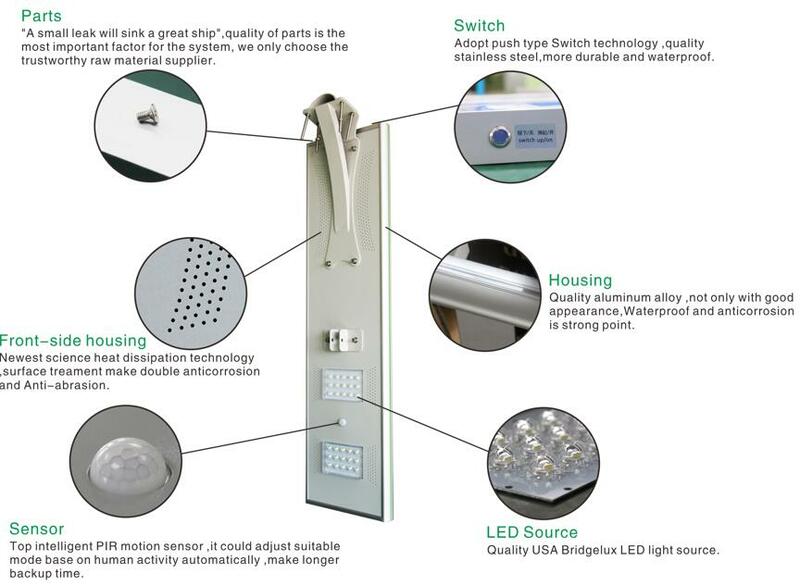 5.Top intelligent PIR motion sensor, it could adjust suitable mode base on human activity automatically, make longer backup time. 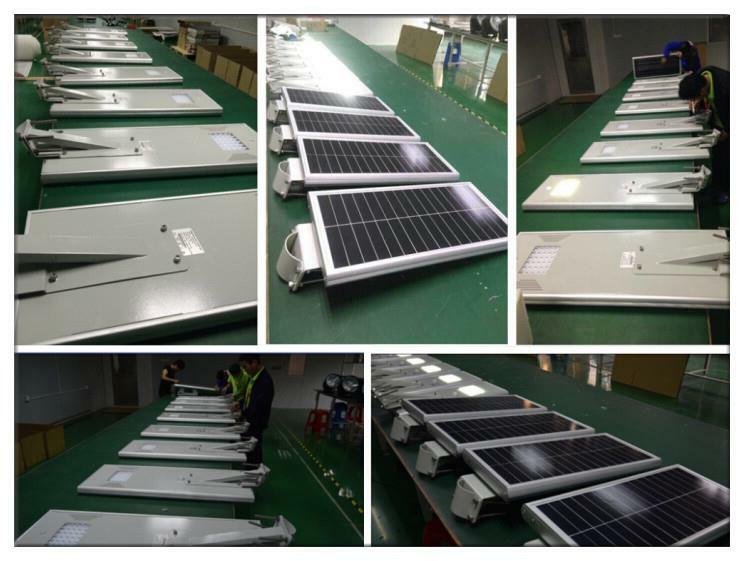 6.A small leak will sink a great ship, quality of parts is the most important factor for the system, and we only choose the trustworthy raw materials supplier.